Like most people his age, you would think that 80-year-old Walter Erickson would be posted up at home, loving on his grandkids and soaking up the retired life. Though he did retire years ago, this dedicated teacher still spends his days substitute teaching in Minnesota’s largest school district. And while he is passionate about molding young minds, Walter has a different reason for working harder than most at his age. “Honestly, I’ve never seen a sub so old. You would think he would be retired,” said Kelsy Breiter, a Champlin Park High School senior. Kelsy, along with a group of other curious students, learned that Mr. Erickson was working to save money for his wife. She desperately needed some dental work done, as well as a totally separate surgery for her cataracts. 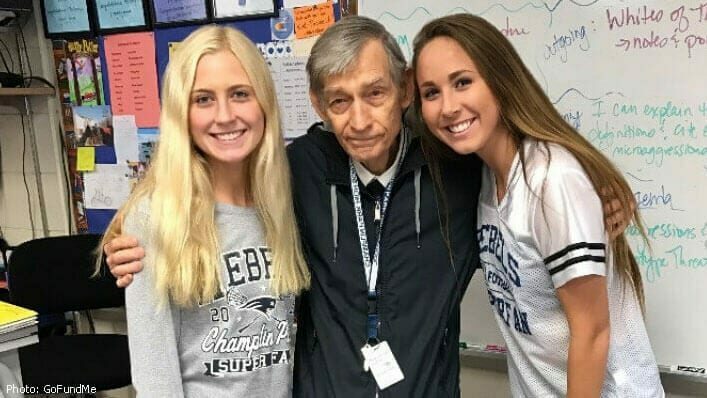 In learning more about one of their favorite members of the St. Paul School District community, the girls took Walter’s need into their own hands. “When we found out the surgery may not be covered, we just wanted to help out,” Breiter said. 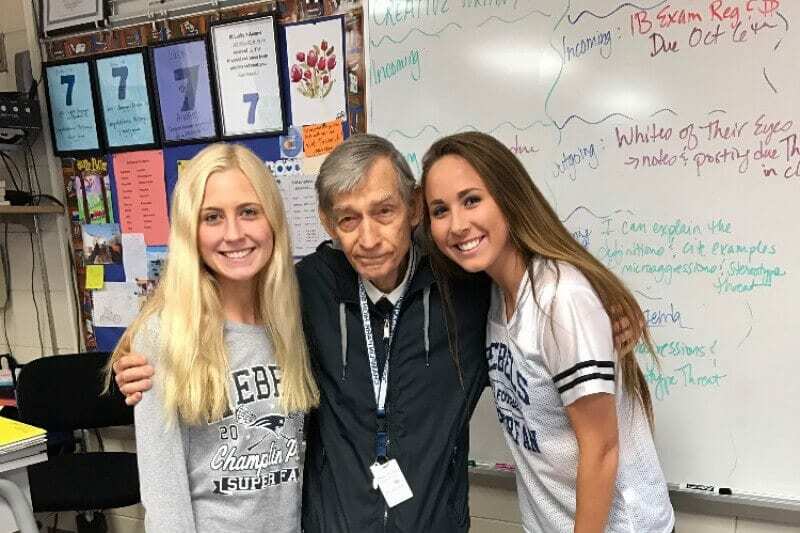 They set up a GoFundMe campaign for Mr. Erickson and his wife, and the Champlin Park High School student body of past and present did NOT disappoint. In just nine days, the girls have been able to raise almost $14,000. Overwhelmed by the students’ outpouring of generosity, Walter and his wife were brought to tears. “When I told my wife about this last Friday, she said, ‘Who are these girls? What kind of parents do they have that they could be so caring and compassionate?’” Walter said. It seems they’ve had good role models along the way, including the beloved Mr. Erickson. What would happen if millions of people worked together to express their faith online, every day, by sharing the most cause-driven, faith-based and inspirational stories with their friends? Our mission is to go through the never-ending sea of information on the Internet to uncover the most important faith-based stories and give them massive attention. God is awesome. Let’s share that knowledge with the world—one story at a time. You in?